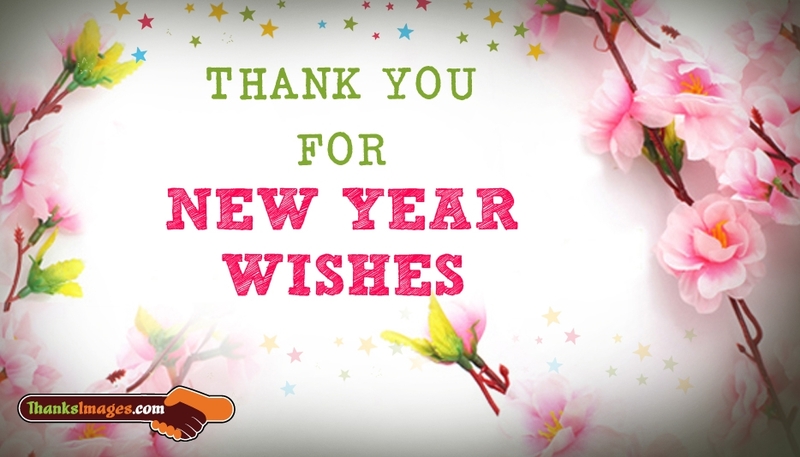 Thank your dear ones for their new year wishes by sharing this "Thank You for New Year Wishes" picture. The picture shows a white background and the image of flowers. Make this picture convey your regards to your loved ones. You can share this thank you picture through email or through social media.